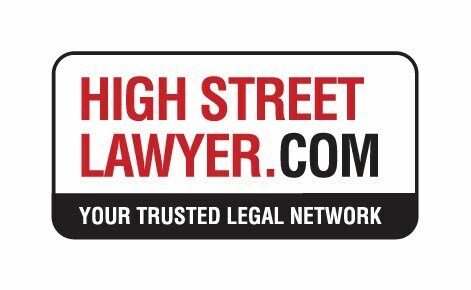 highstreetlawyer.com was setup in 2012 with the aim of providing a UK based network of solicitors and lawyers to handle any legal issue. High Street Lawyer has ceased trading and now The Conveyancing Network, owns and operates the domain name. Compare Conveyancing Fees - Save Time & Money - High Street Lawyers for Online Prices! Using our conveyancing fees calculator, we can help you save money on your residential conveyancing costs. Whether you are buying, selling or remortgaging a property in the UK, within a few simple steps, we can offer you fixed fee conveyancing quotes direct from some of the best property lawyers in England and Wales. Just because we are an online business, doesn't mean all of our conveyancers and solicitors operate purely online. We work with online and high street solicitors, that offer good quality residential conveyancing at an affordable cost for our clients. For us being an online business and providing you with the tools to compare conveyancing quotes, we know we can help save you time and money when finding a conveyancing solicitor. Using our conveyancing comparison service, you can be rest assured that every one of our solicitors and conveyancers are fully regulated by their appropriate governing body. Most of our solicitors are also accredited under the Law Society's Conveyancing Quality Scheme (CQS Accredited), ensuring that our property lawyers, provide excellent standards of professionalism and customer care, when dealing with residential conveyancing matters. When buying, selling or remortgaging a property it is important that you can find a conveyancer that works for YOU. You will probably be provided with many quotations and recommendations from IFA's, Mortgage Brokers, Estate Agents, Comparison Websites to name just a few. The most important thing is to identify exactly what is included in your conveyancing quote. Be sure to obtain a fixed fee quote that is fully inclusive of all fees and disbursements.